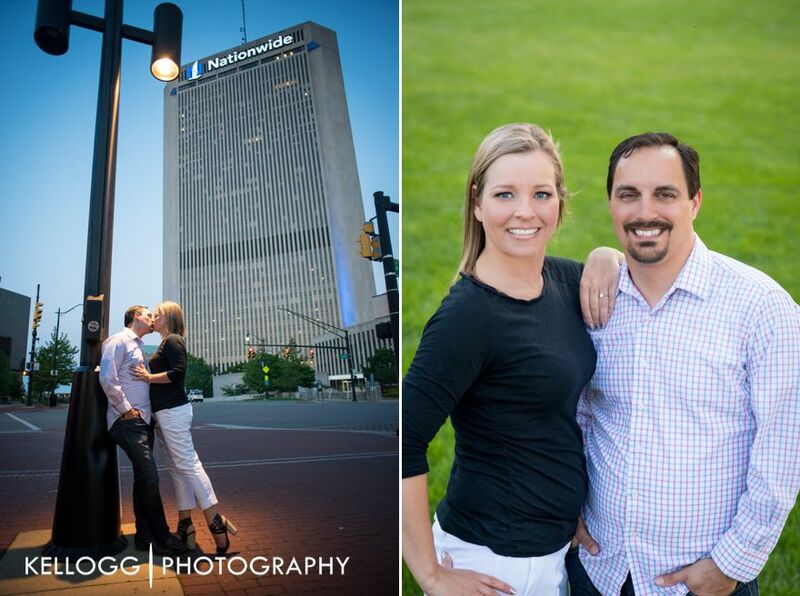 I loved this engagement session on how well everything turned out. The extra edit on the Nationwide Archway turned out better than I could imagine. We started the day off at the Scioto Mile fountain. 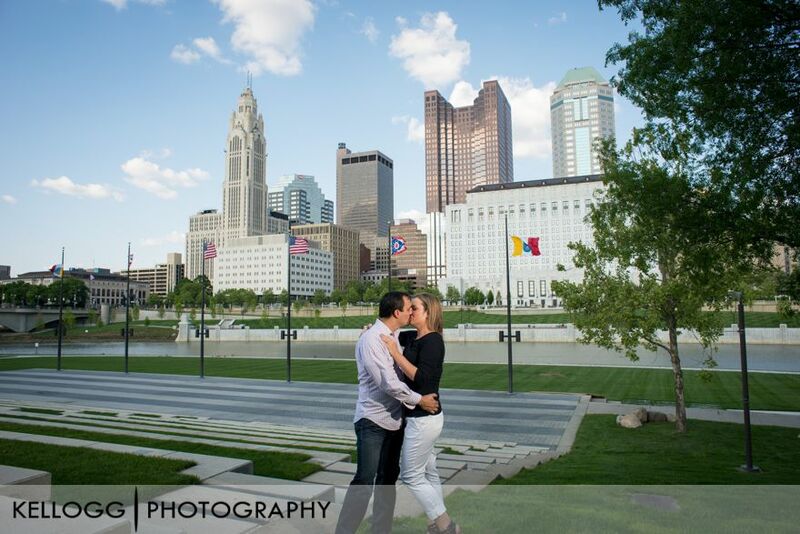 We then walked around to Cosi to get a few architecture photos. We also had their dogs in a few photos and with a treat in my hand they looked right at the camera. 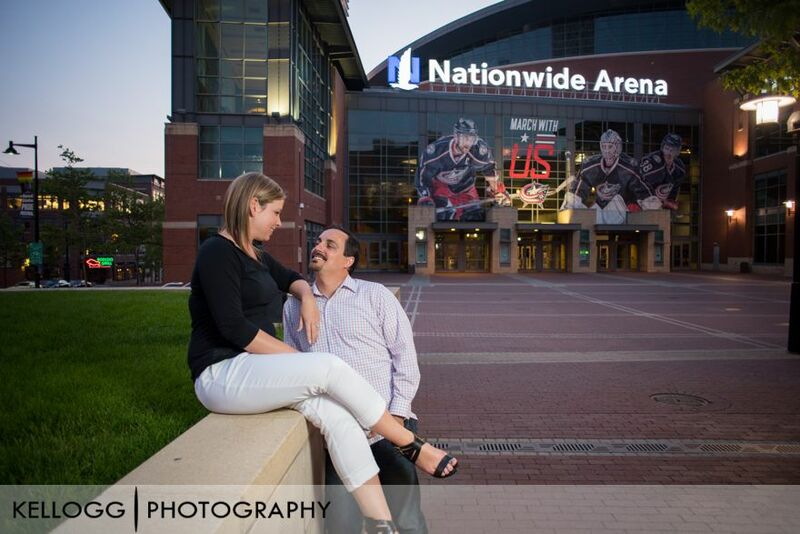 We met back up at sunset for a few additional photos around Nationwide Arena and the archway. Everything turned out great! Congratulations Nicole and Jason!